This summer, world leaders will gather in Rio de Janeiro for the 20th anniversary of the first UN Earth Summit to hammer out a new set of agreements on what sustainable development means and, more importantly, how both rich and developing nations can get there before it’s too late. However, for the scores of women who will be attending (and just importantly for those who aren’t), there are glaring omissions: reproductive health, gender equality, and girls education are nowhere to be found on the Rio+20 agenda. Women offer many of the most promising levers for the transformation to sustainable development. My experience with the Global Fund for Women tells me that women are full of creative and strategic solutions to the problems facing their communities around the world. Their voices must be included in critical decisions affecting our world. And the fact is, sustainable development isn’t sustainable if it doesn’t include empowering women to plan their families, educate themselves, and their children, and have a voice in government at all levels. Rio+20 must have human rights – and women’s rights – at its core. Earth summit planners haven’t yet done that, but women can make it happen. Women are 51 percent of the world’s population, yet own only one percent of its assets, are two-thirds of the world’s workers but earn a mere 10 percent of wages. 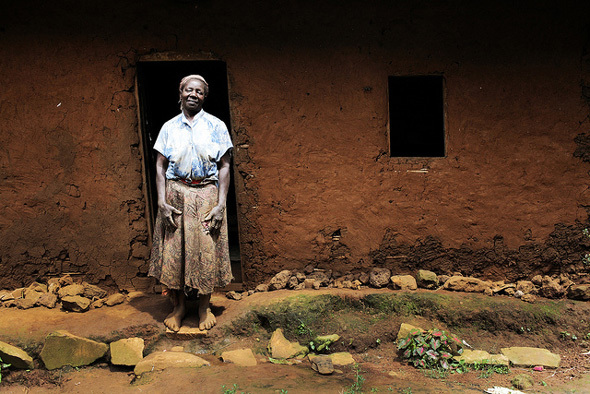 Rio+20 must not become another forum in which women’s issues are not heard. Instead, the summit must demonstrate that women’s voices are integral to all development. Environmental sustainability simply can’t happen without women’s inclusion. For example, in West Africa, women make up 70 percent of workers in agriculture. In Burkina Faso, deforestation, water scarcity, and soil erosion show us that climate change is already impacting women farmers. Women tend to “sacrifice themselves” in order to care for their families – feeding themselves last. And women are most likely to suffer and die in environmental disasters – particularly in the Asian countries most at risk from climate change. So how do we support women while supporting the environment that sustains us all? Simply meeting women’s needs for family planning is one inexpensive and powerful development strategy with a host of environmental benefits. Over 200 million women around the world want the ability to choose the spacing and number of children but don’t have access to, or accurate information about, basic contraceptives like condoms, pills, and IUDs. One-hundred and seventy-nine nations already agree that meeting this need is a top priority, and the Millennium Development Goals (MDGs) reflect a goal of universal access to family planning as well. Satisfying this demand would dramatically reduce maternal and child mortality and enhance human rights. What’s more, two recent studies show that a reduction of 8 to 15 percent of essential carbon emissions can be obtained by meeting women’s needs for family planning. This reduction would be equivalent to stopping all deforestation or increasing the world’s use of wind power fortyfold. The Earth Summit presents a major opportunity to ensure that women’s needs and rights are given top priority in plans for sustainable development. In a time of multiple, interlinked human and environmental crises and a very tight funding environment, investing in women is a clear winner. A greater understanding of the impact of environmental degradation, pollution, and climate change on women, coupled with solid public policy that respects and protects women’s reproductive rights, is essential to the “Sustainable Development Goals” that many believe will emerge from Rio+20 to replace the MDGs, which expire in 2015. As the summit approaches, it’s time to reflect on why women’s full participation and inclusion is so important and call for world leaders to harness the power of women as we launch the era of sustainable development. Musimbi Kanyoro is president and CEO of the Global Fund for Women, which advances women’s human rights by investing in women-led organizations worldwide. Sources: Food and Agriculture Organization, Guttmacher Institute, Moreland et al. (2010), O’Neill et al. (2010), Princeton Environmental Institute, UN, UNEP, World Bank, World Health Organization. Photo Credit: “Reokadia Nakaweesa Nalongo,” courtesy of Jason Taylor/Friends of Earth International.